More than any other place we’ve stayed, the Offbeat Meru camp felt as if it was part of the wild. Troupes of baboons and vervet monkeys regularly passed through the camp, a leopard stalked his prey right outside one of the tents, and a herd of elephants rumbled close by one night, trapping the camp manager in the mess tent until 3am. 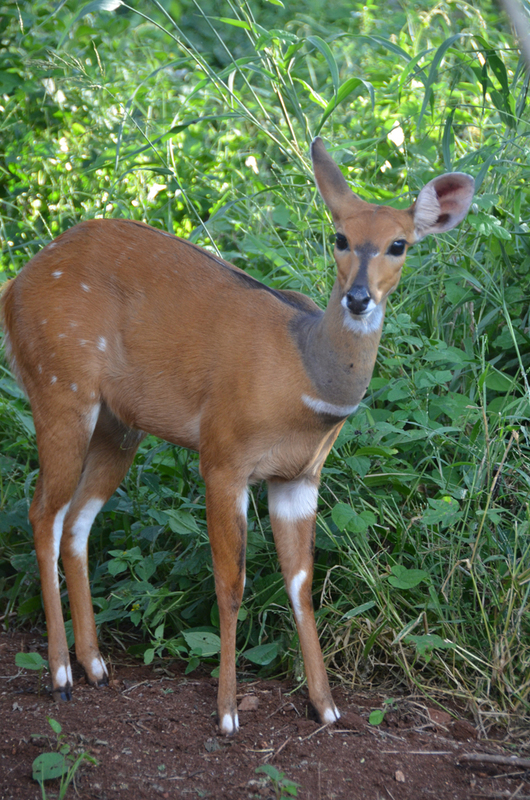 A bushbuck visited our tent one afternoon. Normally, these animals are incredibly shy and skittish but this one spent half an hour nervously nibbling on the foliage around our tent while we sat almost close enough to touch her. Because of its relative remoteness, Meru receives fewer visitors than other national parks and game reserves. Coming from Sandai, we only drove four and a half hours to get to the Offbeat Meru camp, located on a conservancy abutting the national park. On the return leg, it took us most of the day to drive back to Nairobi. As if the drive was not long enough on its own, we counted 90 speed bumps along the 72-kilometer stretch of road between Meru town and the park gate. December is typically a dry month, but last year’s El Niño extended the short rains season. According to the camp managers, there was not a blade of grass to be seen on Meru’s vast plains a few months ago. When we visited, the park was overgrown with elephant grass, which in parts stood taller than any of us. 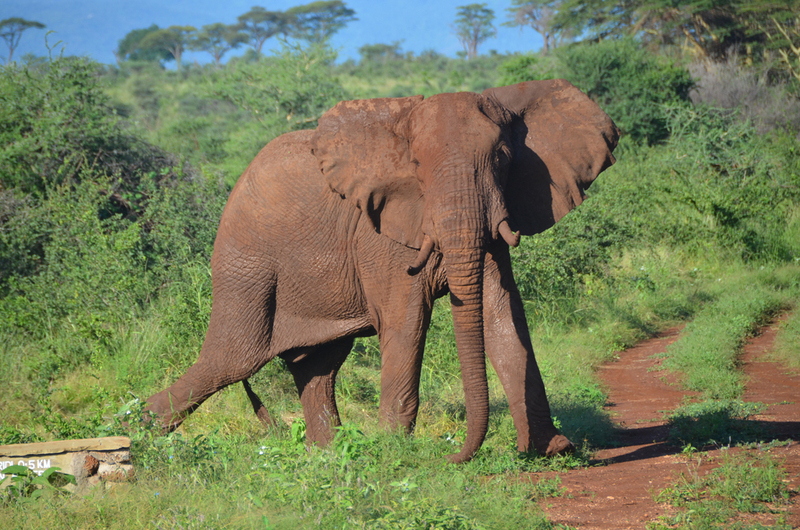 As a result, we could not go out on bush walks and we saw fewer animals than we had in Solio. However, Meru’s diversity more than made up for lack of quantity. 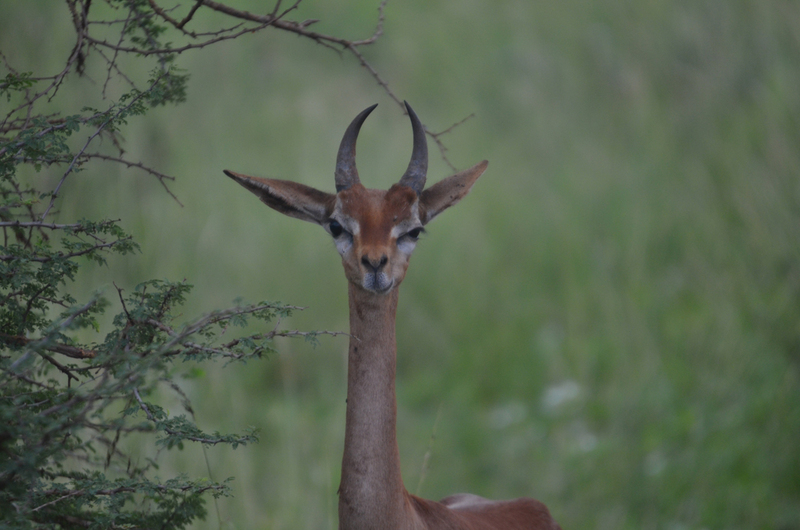 In addition to elephants and hippos, which do not live in Solio, we also saw gerenuks, kudu, the rare Grevy’s zebras, a dwarf mongoose, and a pair of giant savannah monitor lizards. We also came across two lionesses that had climbed high up into a tree to escape Meru’s searing afternoon heat. Before Solio, the last time we had been on safari was with D’s parents in September. 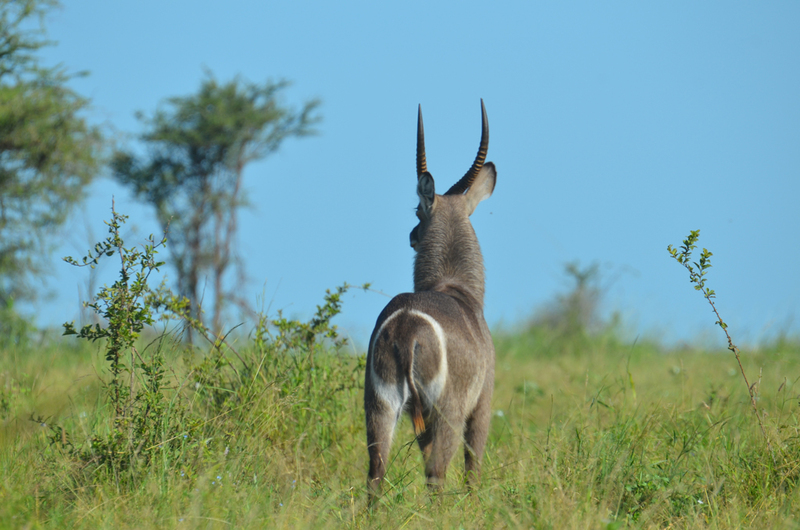 Our self-drive success rekindled our passion for big game viewing, but even so we could not match the enthusiasm level of D’s sister, who at one point suggested a 4am wake-up so that we could be sure to be at the park gate the moment it opened. 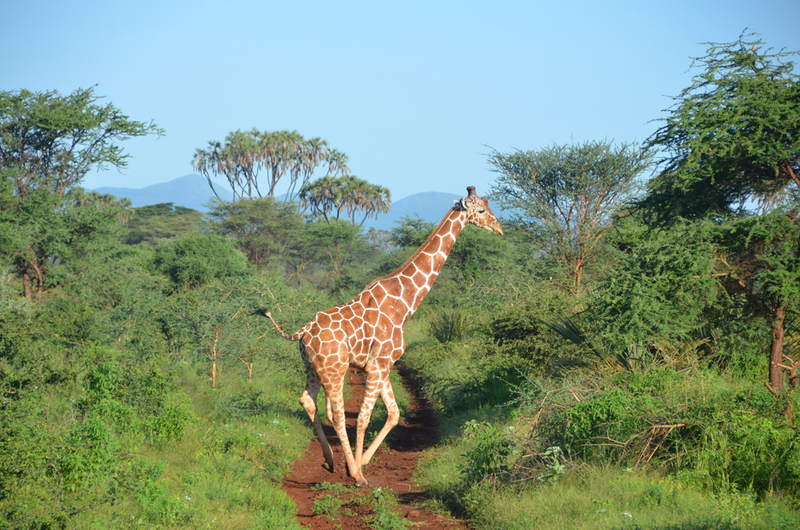 We can only hope that our three-day stay in Meru quenched our visitors’ appetite for wildlife.